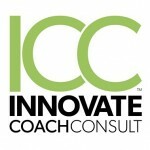 March 12, 2018, Denver, CO – ICC: Innovate. Coach. Consult. 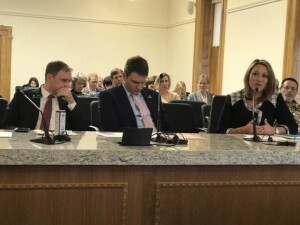 Last week, Shawna Simcik — ICC’s President of Business Leadership, testified to congress in support of passing Colorado’s House Bill 18-1217. The bill would give employers a temporary income tax credit for employers that make contributions to 529 qualified state tuition program accounts that are owned by their employees. “Since our inception 8 years ago, we’ve been able to provide our employees with healthcare benefits, 401K company matching and profit sharing. This bill would allow us to offer our employees another incredible benefit to not only help them and their children, but also attract great candidates to ICC, and receive a benefit from doing so” adds Simcik. “The purpose is to provide an incentive for employers to help their employees enhance education savings goals by contributing directly to the employees’ qualified state tuition program accounts administered by CollegeInvest” reads the bill. As of Wednesday, March 12, 2018 the bill has been referred on to the Committee on Appropriations with a motion passed on a vote of 11-2. If passed, the bill would take effect on or after January 1, 2019 but prior to January 1, 2022. To learn more and to track the status of House Bill 18-1217, please visit https://leg.colorado.gov/bills/hb18-1217.